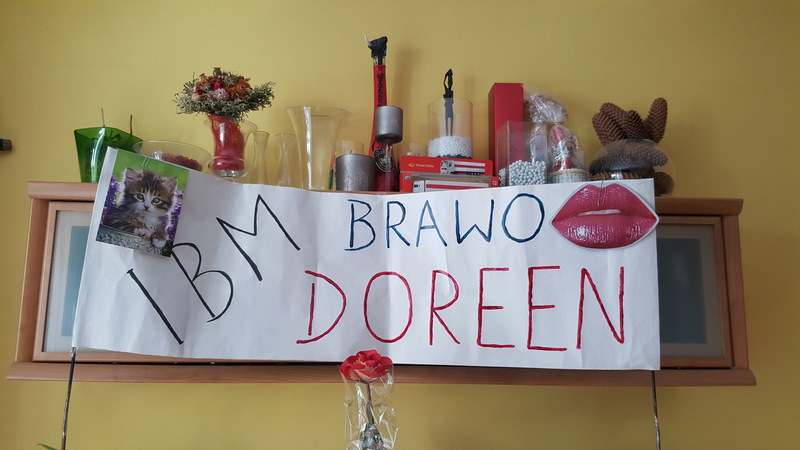 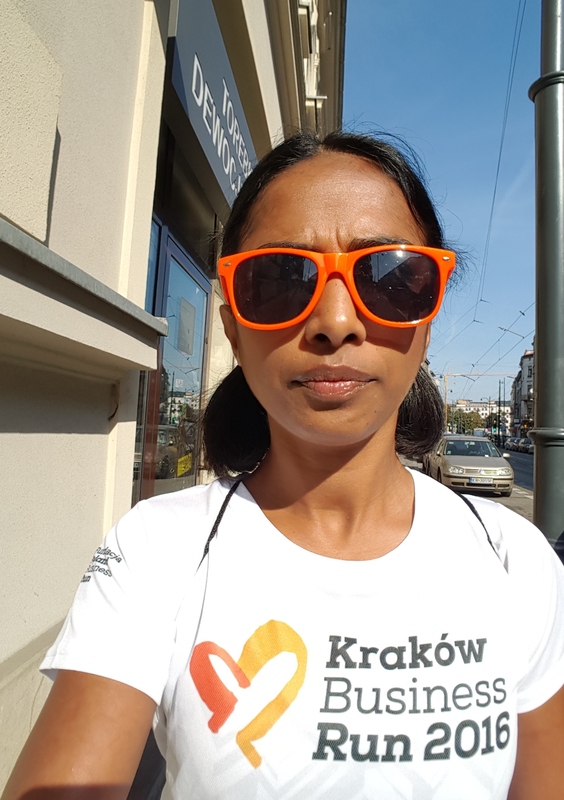 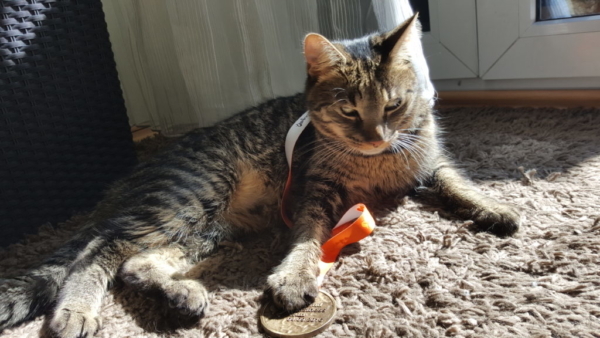 Currently nursing a sprained neck after last weeks Krakow Business Run a.k.a KBR, I thought about sharing my experience as a 2nd-time running this year. 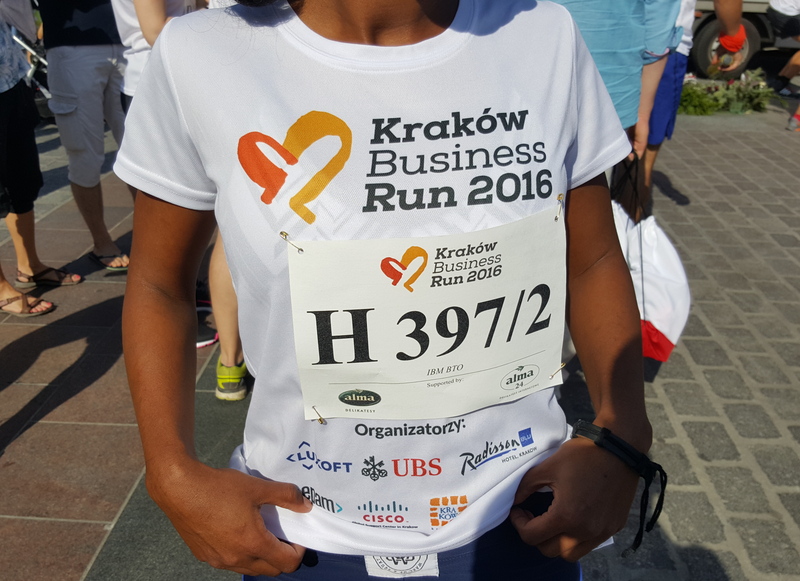 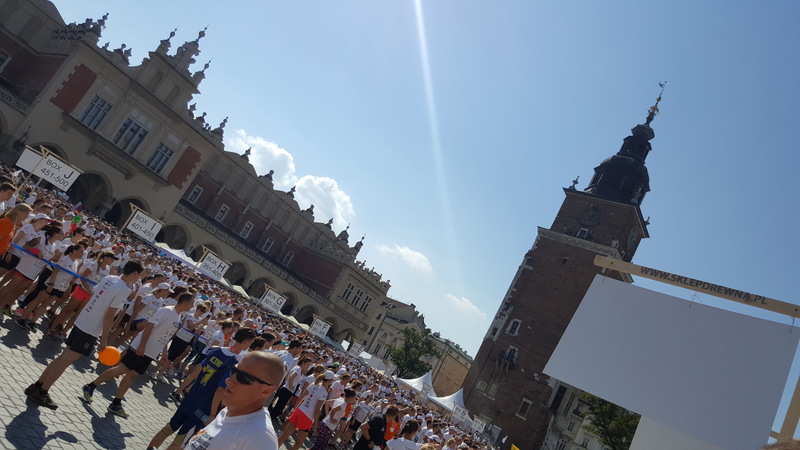 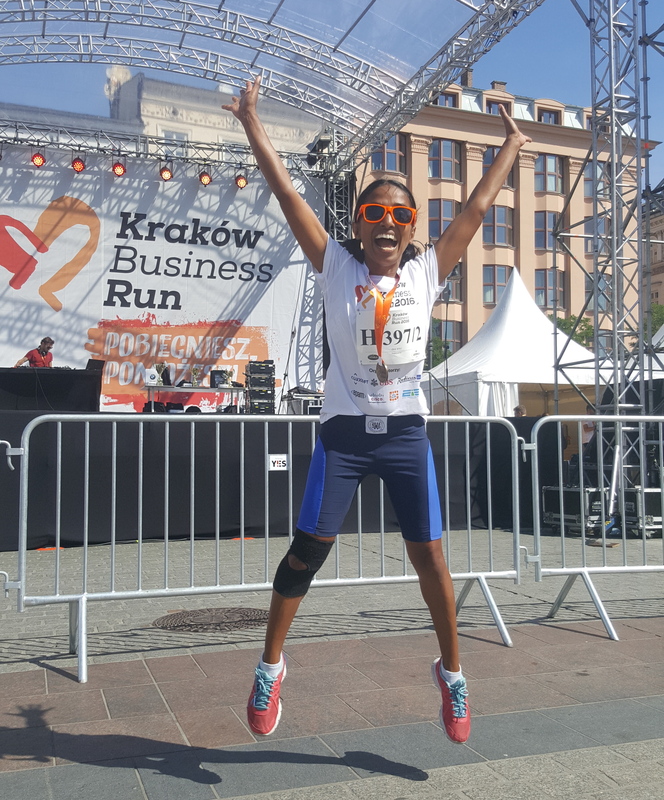 For those of you who do now know; Krakow Business Run is a charity event in the form of a relay to support the beneficiaries of the Jasiek Mela’s Beyond Horizons Foundation. 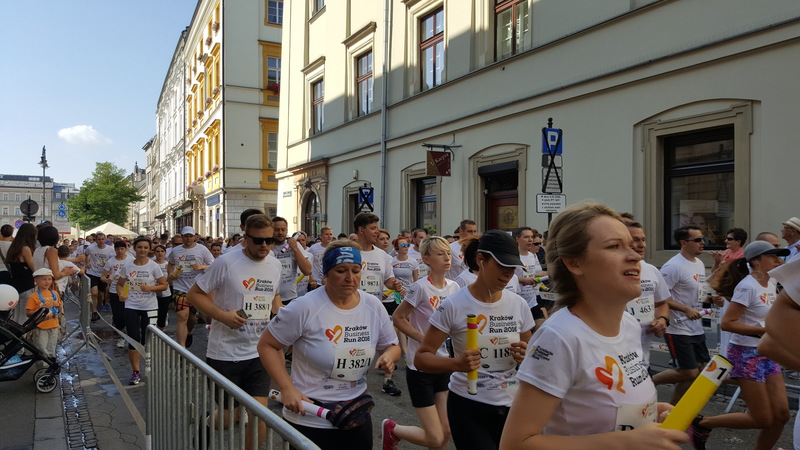 The run forms part of Poland Business Run – a nationwide event, hosted on the same day in different participating Polish cities. 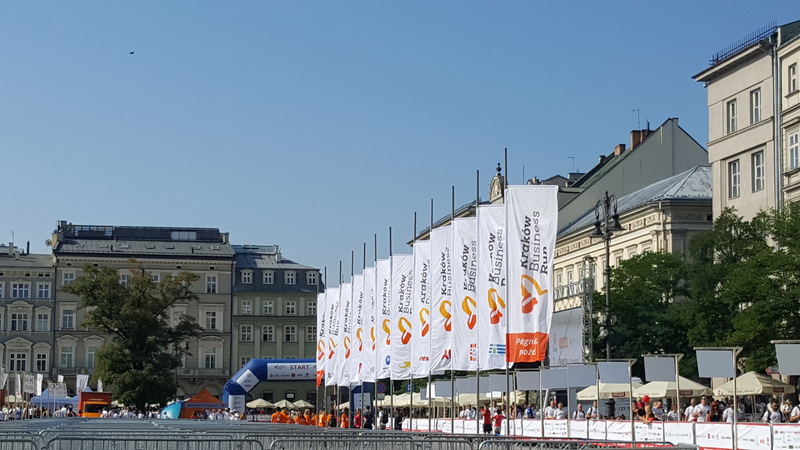 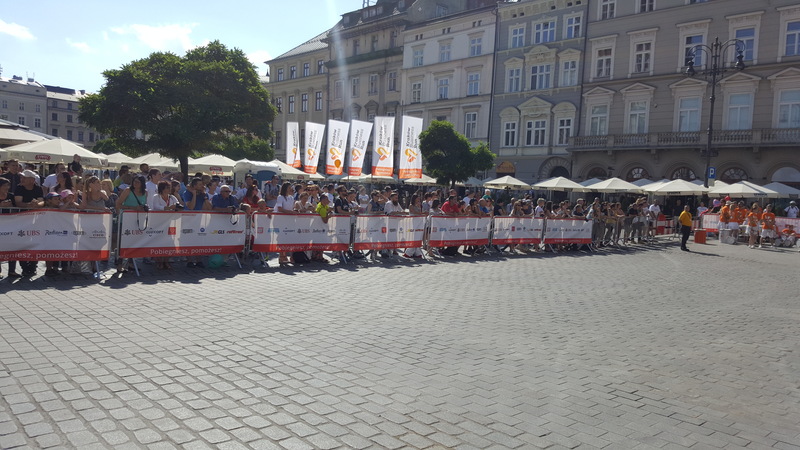 This run is a nationwide event, but for some reason, Krakow sees the highest number of entries. 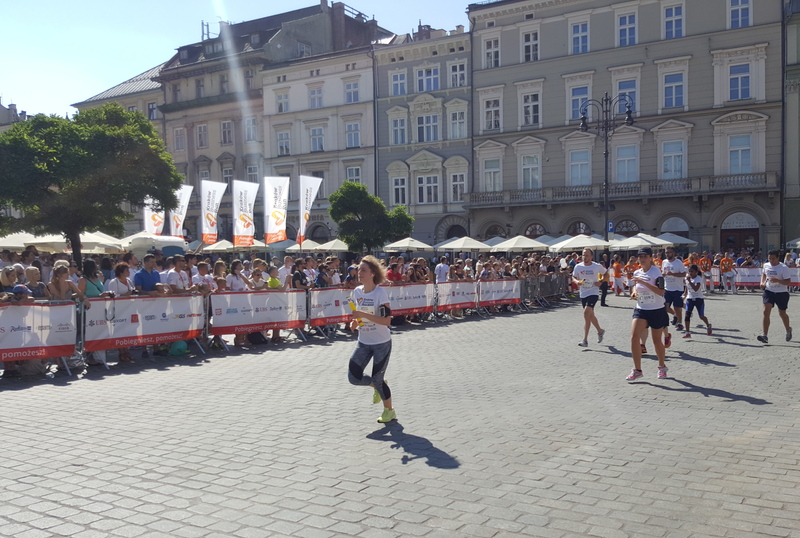 This year there were 1000 teams which meant 5000 participants! 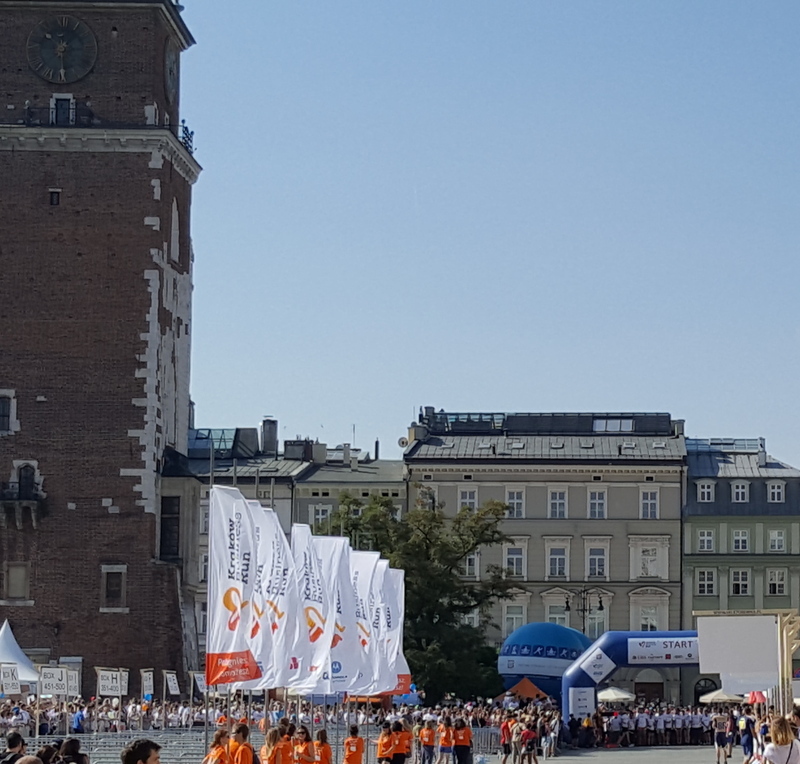 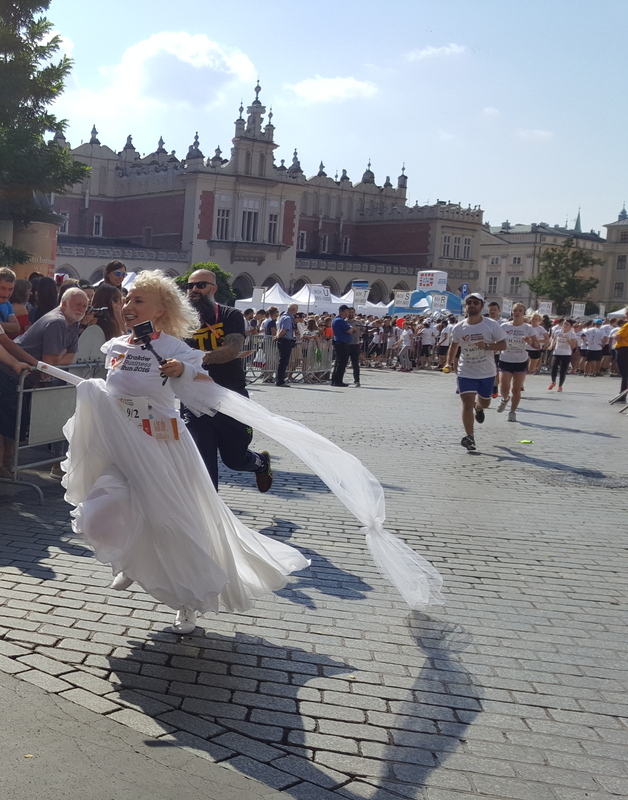 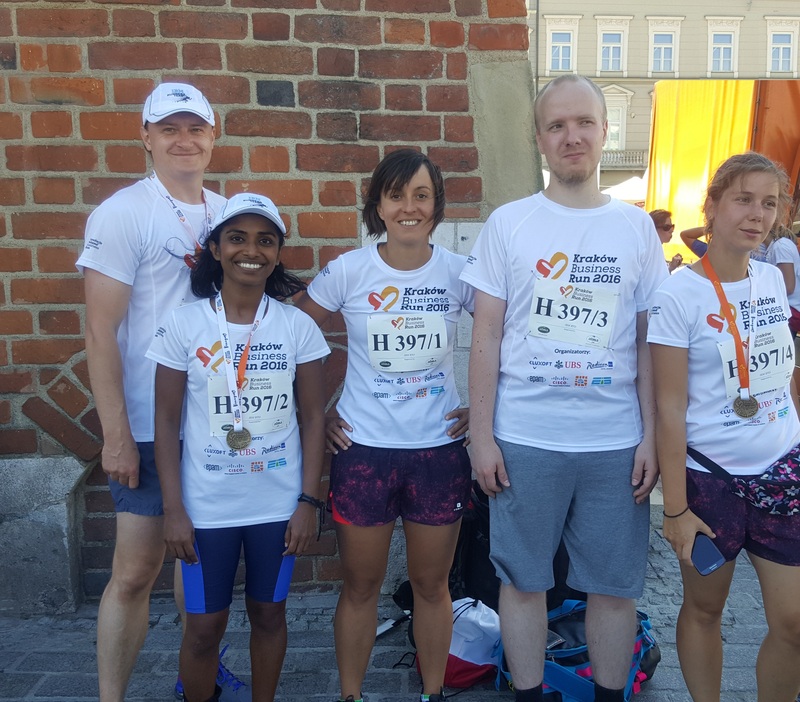 The run in Krakow takes place around the city centre (Planty), which requires each of its five team members to run the distance of 3.8 Km, a total of 19Km. 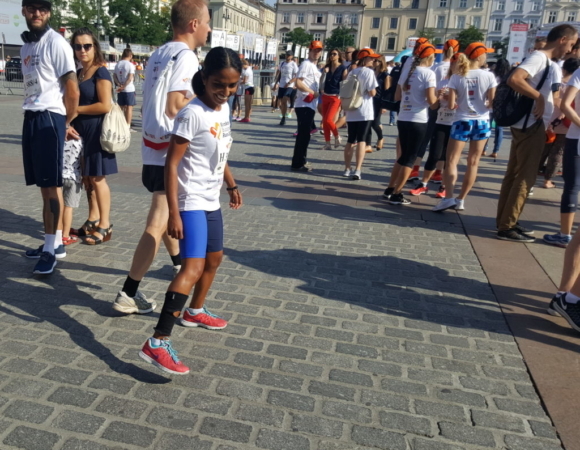 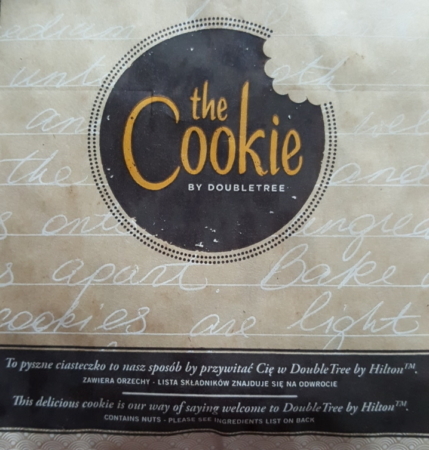 The teams are made up of various corporate or small companies. 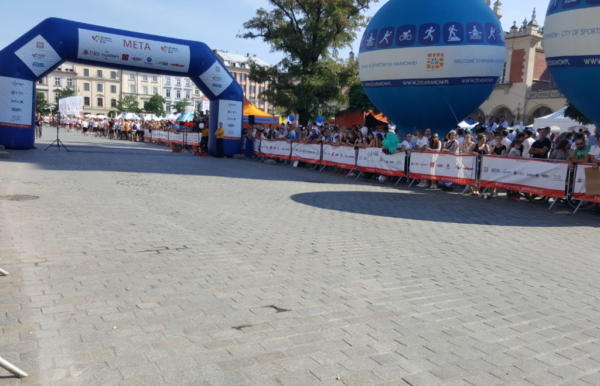 As mentioned each team must have 5 team members and it does not matter if your a professional or an amateur at running. 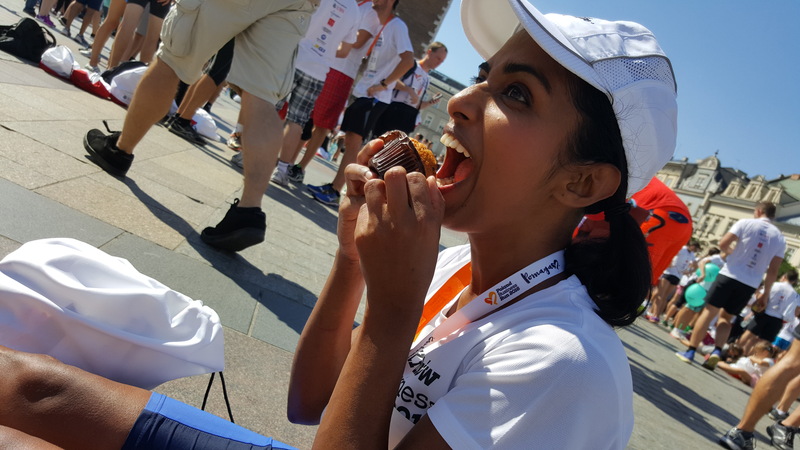 All you need is a little bit of motivation to run the race as, after all, it is all for a good cause. There is no set time limit to finish the race as long as you cross the finish line, as your teammate would be waiting there for the Baton to be passed on. 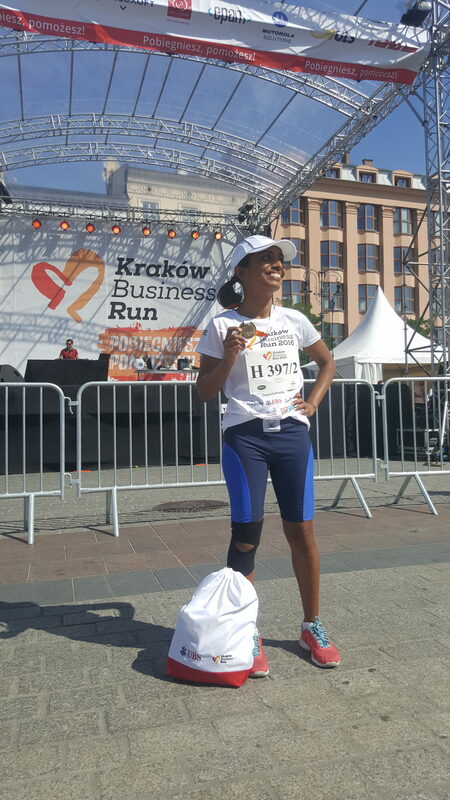 For me as I mentioned this was my 2nd time running KBR. 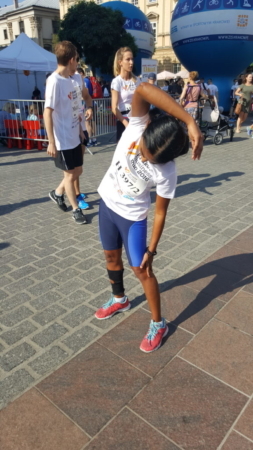 If you read my earlier post about running my first 10Km race, you would know that I had a bit of a situation where I injured my right knee in preparation of the KBR race 2 years ago. 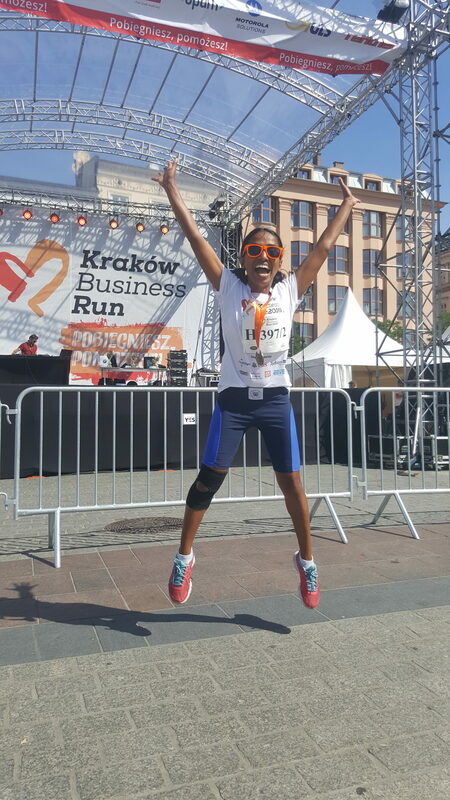 But that did not dampen my spirits 🙂 This time I felt comfortable to run the whole distance without any hic-ups. Registration for KBR opens sometime in the beginning of the year around March and is usually closed out within a few seconds as many people already know that they want to take part in this event. 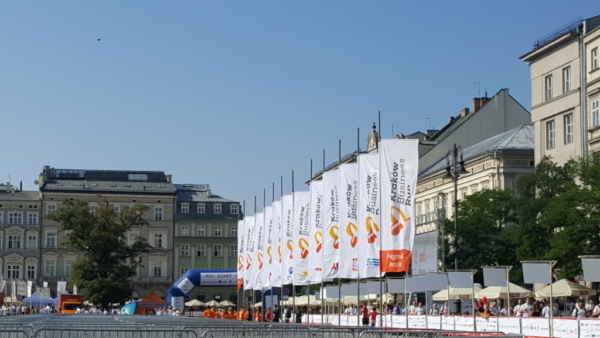 I usually don’t set any time limits for my run, but last year I clocked in about 20 minutes and this year around 21 minutes; as there was a bit of chaos during the exchange of the Baton(our team number did not appear on the board for some reason). It was a hot sunny day, thank goodness! 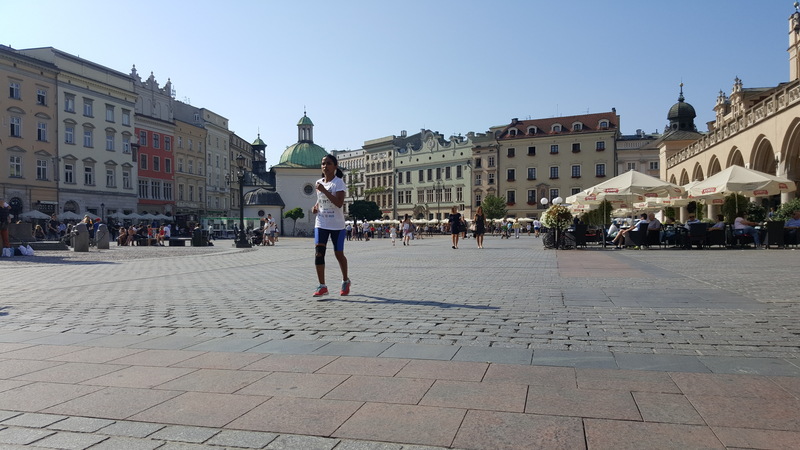 Perfect weather for a short run. 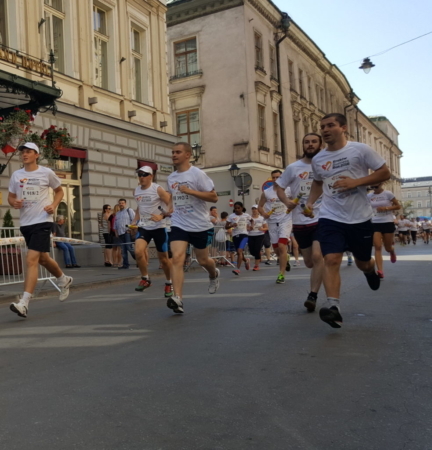 I remember last year it was raining really heavy when one or two of my teammates ran. This year I was prepared for the run, took big strides, I personally thought I was better as was not struggling in terms of breathing or stopping at all. 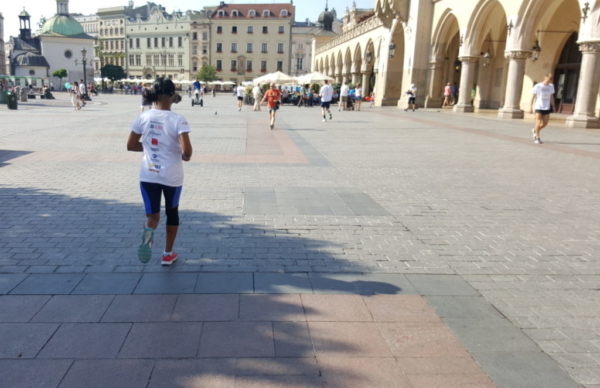 That is one point I must mention, a piece of advice, do not stop and walk just jog along and slow down your pace if you feel extremely tired during a run. It is a short distance but none the less it takes some level of preparation if you do not want to crawl your way to the finish line. Hope you enjoyed this short post, comment below if you have similar events in your part of the world.